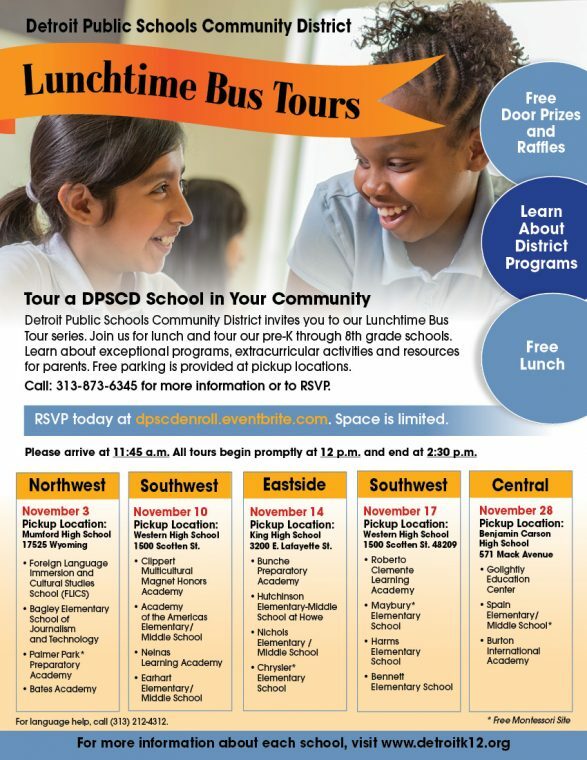 Detroit Public Schools Community District invites you to its Lunchtime Bus Tour series. 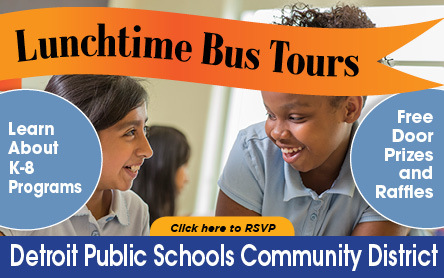 Join us for lunch and tour Pre-K through 8th grade schools, where you’ll learn about our exceptional programs, extracurricular activities and resources for parents. 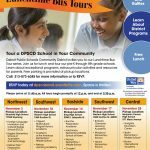 During the tours, you’ll have the opportunity to visit in-demand schools such as Bates, Chrysler, Academy of the Americas and Burton International. Participants will be entered to win a free week-long camp at the Detroit Science Center or a free birthday party for your child at the DNR Outdoor Adventure Center. 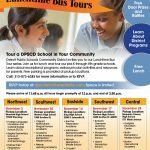 RSVP today at dpscdenroll.eventbrite.com or call (313) 873-6345. Space is limited! Free parking is provided at pickup locations. 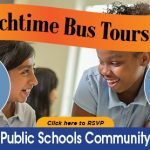 Please arrive at 11:45 a.m. All tours begin at 12 p.m. and end at 2:30 p.m. 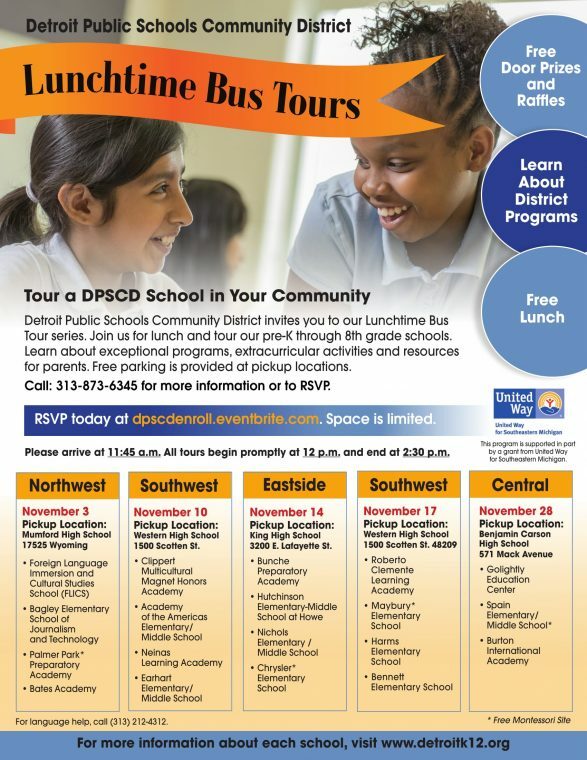 Call: 313-873-6345 for more information on each school or to RSVP. For language help, call (313) 212-4312.